Founded by SD Williams, SD launched this business after working in the fields of engineering and technology at NASA and Northern Trust. She noticed a gap in website development and total marketing integration and began answering questions eventually building Danico Enterprises Inc. Danico Enterprises is a multi-talented technology firm that partners with businesses, startups, solopreneurs, and non-profit organizations, delivering results in the practice areas of consulting, event management, total marketing, web and technology solutions. Businesses may appear to be similar yet we recognize none are identical. Danico Enterprises excels at leveraging your excitement for your business and translating that into an actionable strategy with tools that lead to success. Are you excited about your business? We'd love to hear about it. 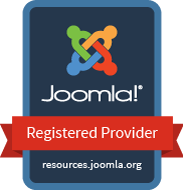 We are active in the award-winning Joomla! community of content management systems (CMS). Our president SD oversees the Joomla User Group Chicago North (JUGCN) that meets in Arlington Heights the second Wednesday of each month. This group brings together Joomla enthusiasts with a wide range of technology and technology-related presenters. All are welcome to attend a meeting. Each year Danico Enterprises and SD develop and host JoomlaDay Chicago. The JoomlaDay Chicago conference joins global technologists, industry thought leaders and enthusiasts for a day to network and attend specialized topics presented by experts. This year's topic includes eCommerce.